Let us do the cooking! Having a party, meeting or just simply don't feel like cooking? We do catering of all kinds. Give us a call and we can help! If this looks good to you, then stop by our Restaurant and order an Indian Taco. This along with the Fry Bread it's made with were featured in a recent article in The News Tribune Why you should try Fry Bread & Indian Tacos and where you can do that at. 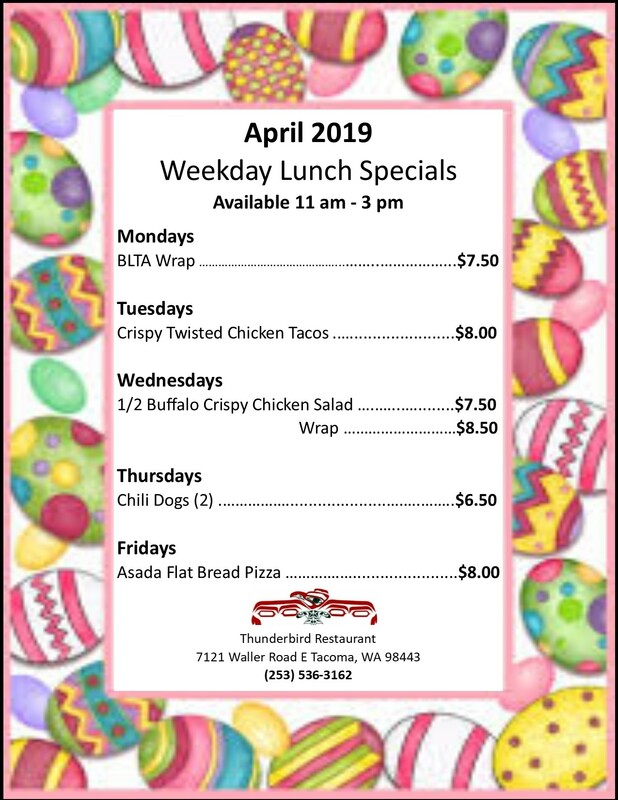 Click On the calendar below to view larger. We have a NEW menu. You can view it at the top of the page or even better, stop on in and try it for yourself! 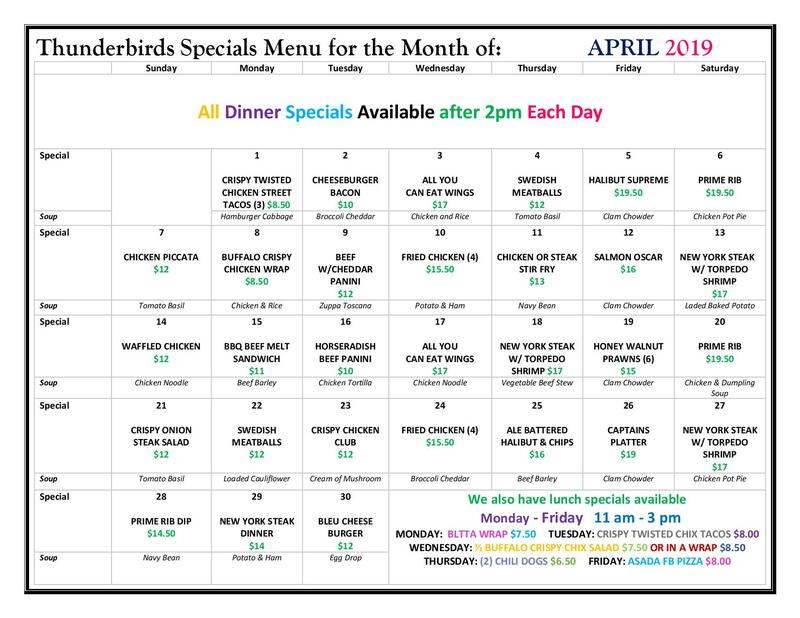 We appreciate our customers and community and we try to show that appreciation thru our customer service and food preparation here at Thunderbird!